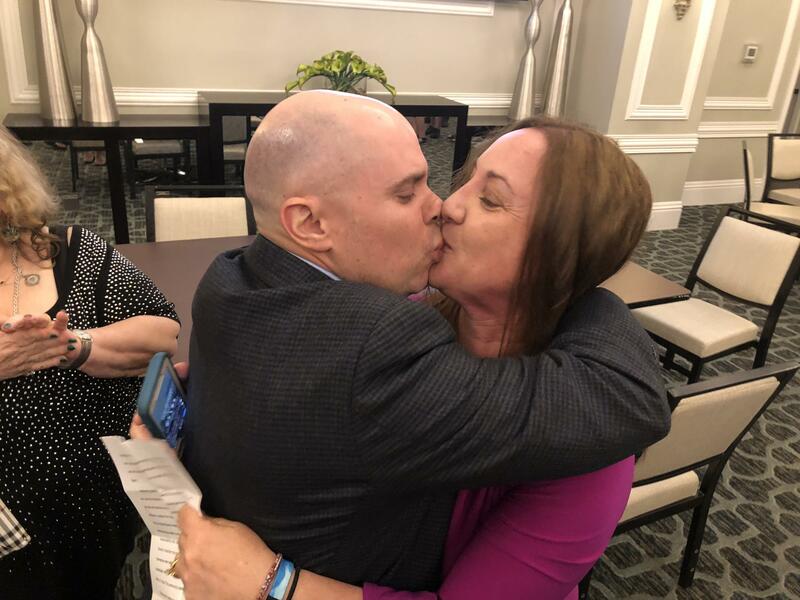 Lori Alhadeff kisses her husband, Ilan, after learning she won a seat on the Broward County school board. “What happened to my daughter on February 14th, … it empowered me to want to make change,” Alhadeff said during an election results watch party at the clubhouse of the housing development in Parkland where she lives. 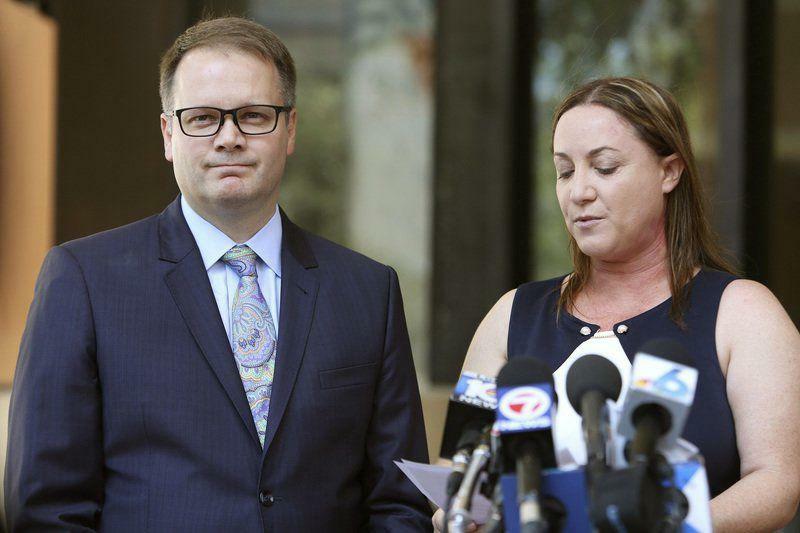 Other parents of victims — including April Schentrup, Max Schachter and Fred Guttenberg — attended to show their support. The other parent of a victim on the ballot — Ryan Petty, whose daughter, Alaina, was killed — lost his bid for a county-wide seat on the school board. Incumbent Donna Korn narrowly avoided facing him again in a November runoff, clinching 50.3 percent of the vote. Petty took about a third, and another opponent, Elijah Manley, about 18 percent. Petty’s campaign did not hold a public event or release a statement Tuesday night. Donna Korn celebrates her re-election to the school board with family and friends at her home in Davie. 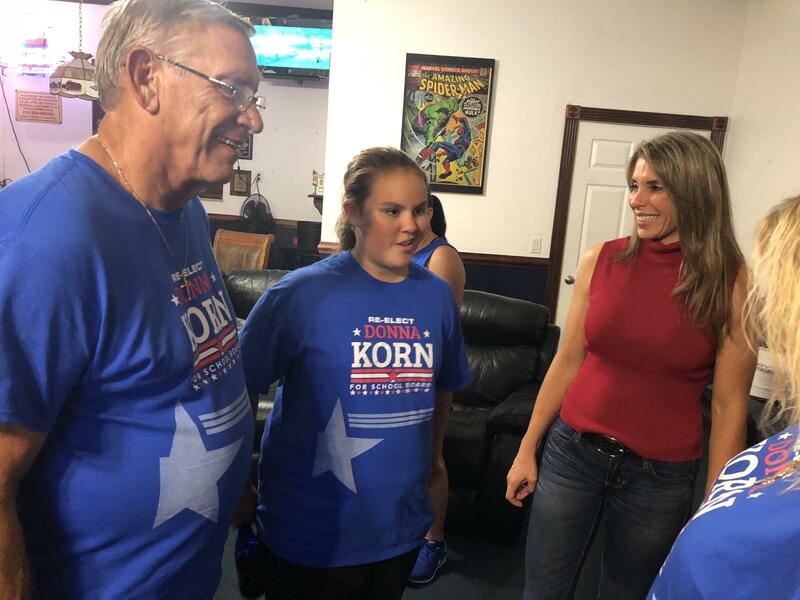 Korn waited for the results at her house in Davie with family, friends and volunteers donning her blue campaign T-shirts. She said she was excited and relieved. Fellow incumbents Nora Rupert, the board chair, and Laurie Rich Levinson survived challenges by double-digit margins. District 1 representative Ann Murray, though, won about 37 percent of the vote to her opponent Jim Silvernale’s 33 percent, so they’ll be on the ballot again in November. 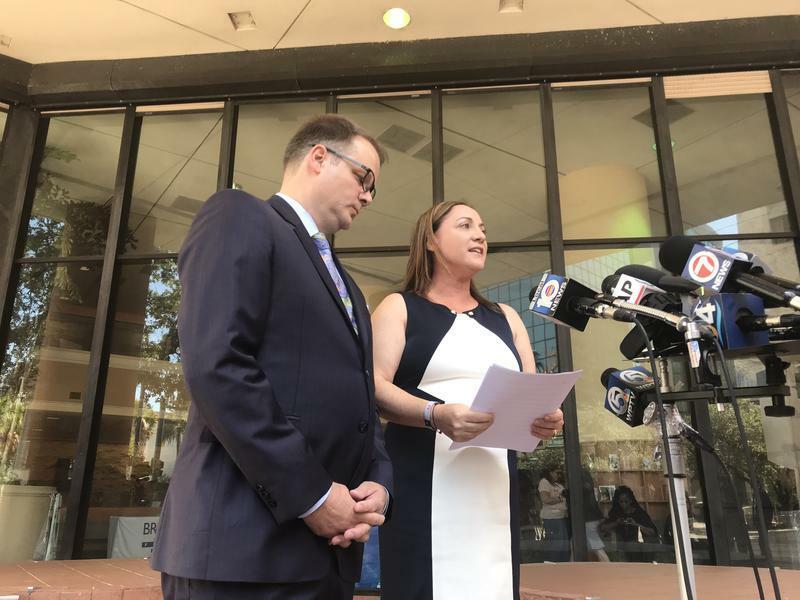 That the sitting board members performed well is a good sign for Superintendent Robert Runcie, who has been facing mounting pressure from parents of shooting victims. They argue he has handled the tragedy in an inconsistent and opaque manner. One of Runcie’s biggest supporters on the board, Rosalind Osgood, said Tuesday’s results were “overwhelmingly” good for Runcie, especially voters’ approval of a tax increase to raise money for increasing teacher pay and hiring security guards. The referendum passed with 64 percent of voters’ support. Osgood said she believes most Broward County residents approve of Runcie, while just “small fractions” oppose him. ”But I think as we look to heal, this is a moment for all of us to pause and see where we can operate in the spirit of unity,” Osgood said during Korn’s victory party. Her seat was not on Tuesday’s ballot.